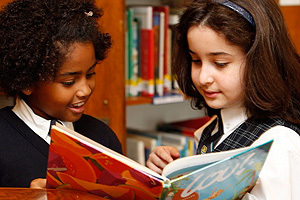 Recognized as one of Canada's premier schools, The Study is an independent girls' school offering an enriched and stimulating bilingual curriculum to 350 students from Kindergarten to Grade 11. The development of character, self-confidence and independent thinking are actively fostered. A team of 75 dedicated teachers and administrators, many of whom have advanced degrees, are committed to providing an outstanding education to each and every student. Excellence is pursued at every level, as is a creative, challenging and supportive environment so that each girl achieves her full potential.